Webbers Cove Boatyard was started in 1934 by Maurice ‘Cy’ Cousins, in the actual ‘Webbers Cove’ located off the Morgan Bay Road. 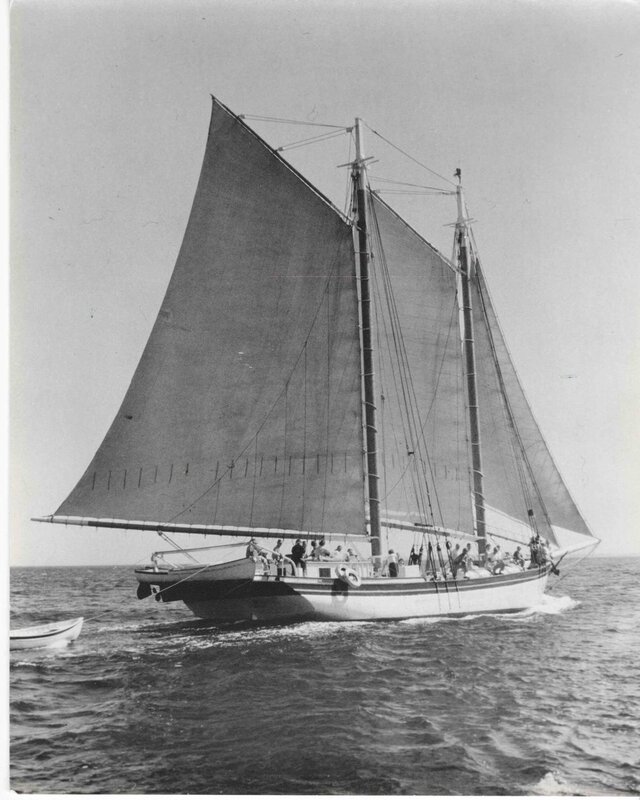 Cy built many wooden boats, some for pleasure - many for fishing. During World War 2 and and later during Vietnam, Webbers Cove had numerous Navy contracts, starting with building wooden Naval Utility Boats. In 1948, Cy moved the business and it's buildings over the ice (!) to its current location, in McHeard's Cove. The larger property and deeper tidal water allowed for the building of a 100' marine railway to accommodate hauling and launching bigger boats and more boats. 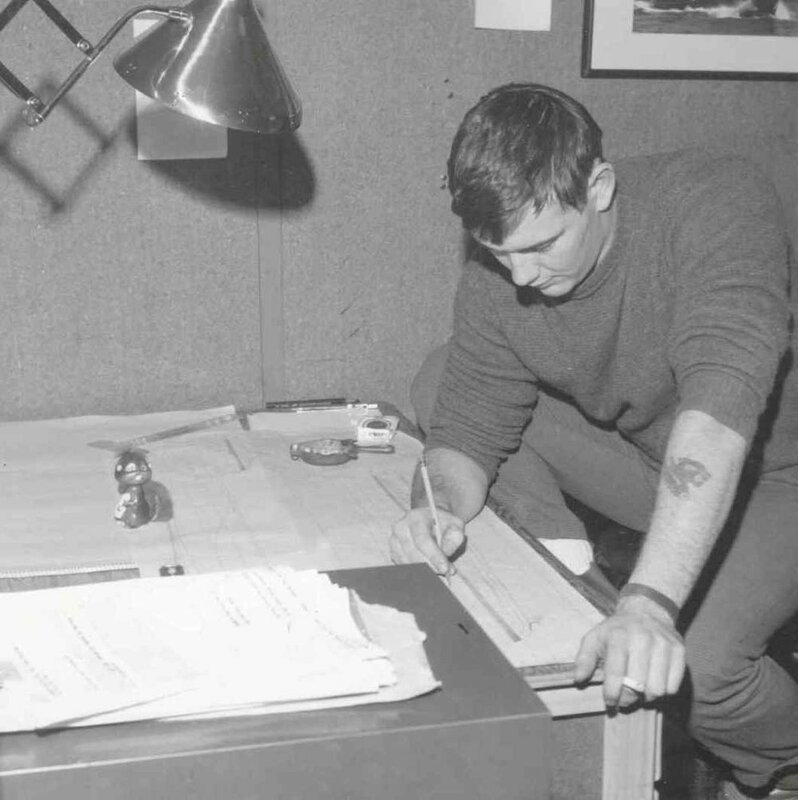 Cy’s son, John was venturing into the business by beginning to build the navy boats using fiberglass. Cy continued to manage and run the repair, maintenance and storage end of the business, while overseeing the boat building part. The business flourished and the boatyard boasted a workforce of over 75. 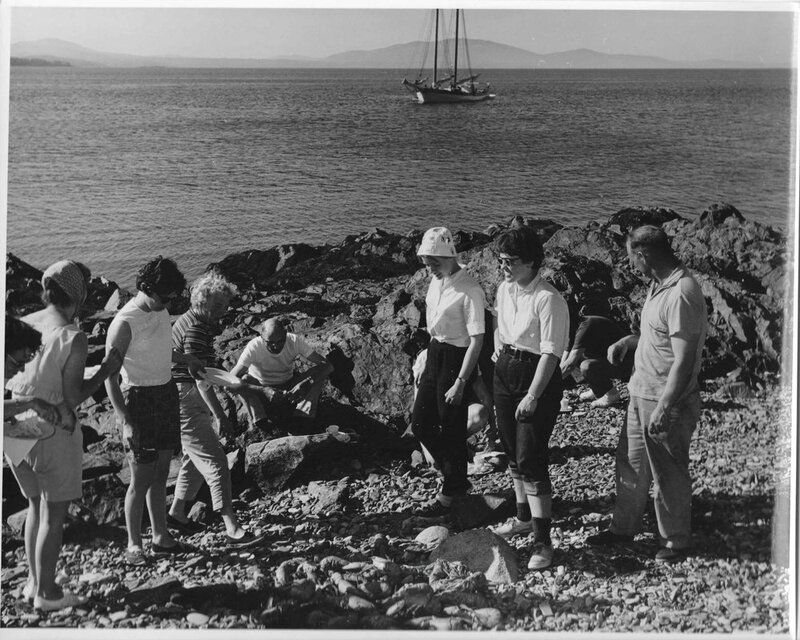 By the early 1960’s they were considered pioneers, as the first in Maine to build fiberglass boats. Using the Navy model, they converted, designed and built their own line of the now, well known ‘WEBCO’ Downeaster 34’ and 40’. A custom designed fishing/pleasure power boat. Cy retired in 1972 and passed away in 1997. John ran the business until his death in 1996. Matt, John's son, joined the family business in 1982. In that time, John and Matt designed and built three new WEBCO pleasure boats; the 22’, 26’, and 29’. Between Cy, John, and Matt, they have built well over 2000 fiberglass boats, an impressive achievement for a small boatyard, not shared by many. Greg and David, Matt's brothers continue in the Maine tradition of fishing. Still active, they are well regarded in Maine and Florida for their natural fishing instinct. While the company retired from boat building in 1997, all the models they designed continue to be built by others. We continue to use WEBCO 34' and 40' as work boats at our yards and enjoy sharing the legacy of WEBCO with others.